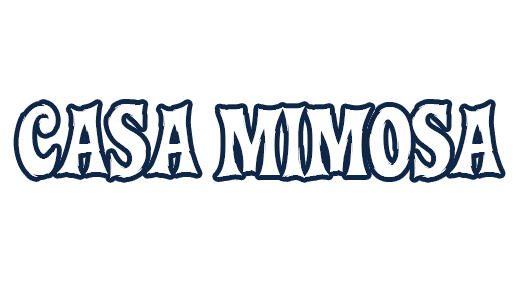 Welc ome to Casa Mimosa. This deluxe resort villa is located on the beautiful tropical island paradise of Isla Mujeres, just a 15 minute ferry ride from Cancun. 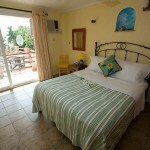 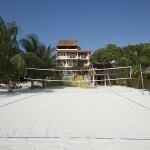 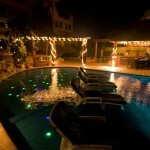 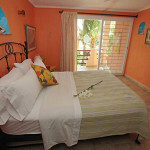 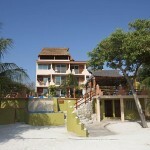 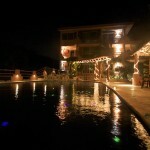 Isla Mujeres and Casa Mimosa offer you the complete Caribbean vacation destination. 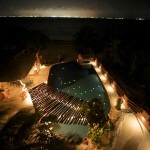 Casa Mimosa is one of the largest villas on the island, located on a sugar white sand beach, overlooking the crystal clear water of the Caribbean and Mujeres Bay, with a spectacular view of Cancun and a gorgeous sunset every evening. 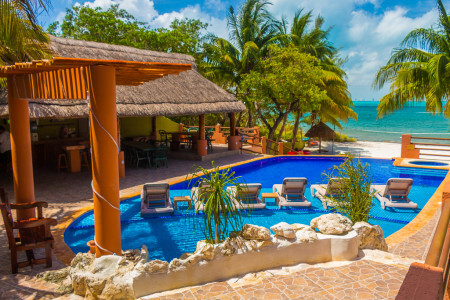 This villa has everything you need for a luxury getaway. 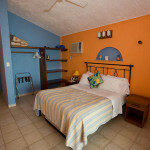 Casa Mimosa is located on the quiet, less travelled part of the island and is very secure as the caretakers live on the property in a separate house. 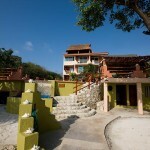 This 6,000 square foot villa consists of 4 floors with 5 bedrooms, each with its own beautifully tiled bathroom. 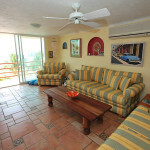 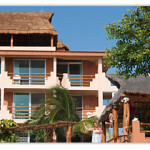 There are 2 living rooms, a fully equipped kitchen, full laundry, 3 wet bars, dining room, and a roof top palapa. 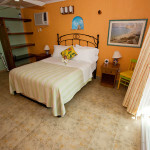 All bedrooms have a terrace overlooking the pool and ocean, air conditioning, ceiling fans, a safe for your personal belongings, and a hammock for your afternoon siesta.